An experienced commercial and chancery law specialist, he has a focus on partnership disputes, insolvency cases and landlord and tenant matters. Chapman also handles VAT cases and sits as a fee-paid judge of the First-tier Tribunal of the Tax Chamber. "An elegant advocate who is very well up on the relevant law and presents well." "He's a very calm presence in court, and he's got a good analytical mind." Recent work: Represented the claimant, a firm of solicitors, against an insurance company in respect of financial guarantee insurance policies. Receives impressive levels of praise for his diverse commercial and chancery practice. A highly experienced practitioner whose expertise spans professional negligence, tax, property and insurance litigation. His clients include professional firms, businesses and government departments. "He is very bright and very good with clients – he always has a nice manner and is very good at managing the client's expectations." "He carries himself extremely well and is well liked by judges." Recent work: Acted for HMRC in an appeal by a farming business against a decision to remove it from the Agricultural Flat Rate Scheme for VAT. An experienced commercial and chancery law specialist, he has a focus on partnership disputes, insolvency cases and landlord and tenant matters. "He is the complete package. He is good on his feet and he works hard." "His written work is always well presented and concise." Receives impressive levels of praise for his diverse commercial and chancery practice. A highly experienced practitioner whose expertise spans professional negligence, tax, property and insurance litigation. "He is very impressive and professional in court. He is highly persuasive, establishing a commanding rapport with the judge, and has an authoritative demeanour." "He is very good with clients and has a calm manner about him. His written work is excellent and he is a very strong advocate." "His authoritative demeanour impresses in court." "His wide commercial knowledge stands him in good stead. He's bright, approachable and user-friendly." "Technically gifted, highly approachable and has a great table manner with clients." Richard Chapman QC was called in 1998 and took silk in 2019. 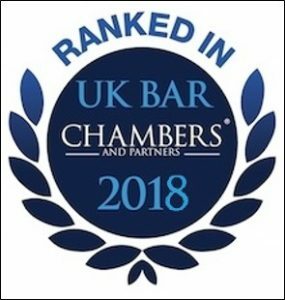 He specialises in all areas of Business and Property Litigation including disputes relating to commercial law, chancery, contracts, company, insolvency, directors’ duties, insurance, professional negligence, partnership, landlord and tenant, trusts, succession and probate. He also specialises in Tax and VAT litigation. Richard has appeared in the European Court of Justice, the Supreme Court and the Court of Appeal. 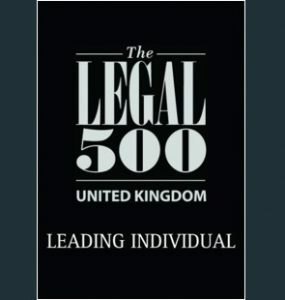 He is consistently praised in legal directories and is one of only two barristers in Chambers and Partners’ top band for Commercial Dispute Resolution on the Northern Circuit. Nesbit Law Group LLP v Acasta European Insurance Co Ltd  EWCA Civ 268 (Court of Appeal)(Appeared without a leader against Michael McLaren QC)(Contractual construction of an insurance contract).